The Department of Work and Pensions has put back harsh plans to change the rules for new claimants for pension credit from next June to sometime next year. The decision not to implement savings that could lead to tens of thousands of elderly people having to live on half the money paid out by pensioner credit is not motivated by a change of heart on a heartless measure. It is because of incompetence and failure by the ministry itself to roll out another major benefit called universal credit – which replaces a whole series of benefits – on time. This was supposed to be nationwide by June this year. But the civil servants who planned it failed in their job – despite collecting bonuses worth £20,000 on top of six figure salaries for introducing the new benefit. You can read all about it in my blog last year here. So now instead the benefit will not be rolled out across the country until the end of December 2018. The proposed timetable is here– and you can see which local area changes when. Of course the department has not announced the delay to the new pension credit cuts until I contacted them to check the date. Rather like they forgot tell 3.9 million women pensioners about the rise in the pension age until some 14 years later. The measure as I reported earlier is particularly harsh if there is a big age difference between pensioner couples – with one say years younger than the other. Previously the law said when the oldest person in a relationship reached pension age they qualified for pension credit. Now it is being changed to the youngest person in the relationship reaching pension age. This means if there were a 10 year difference – the oldest person could get no pension credit payment until they were 76 – ten years after the raised retirement age. On person has told me of a 17 year difference – meaning one of them would wait until they were 83. What is as shocking is the department’s disclosure to me on how the new system is planning to work. When it comes in they are proposing both people in a couple apply for universal credit when there is an age difference between the two- and only one is over 65. The change is devastating. This means a couple instead of receiving £995.20 for 4 weeks would see their income halved to £498.89 a month until both of them were over, by then, 66. Furthermore the younger person in the marriage will be subject to benefit sanctions if they fail to continually seek work. This would cut their benefit compared to pension credit by two thirds to just £313.82 a month. Notice there are no new rates for universal credit for 2018-19 as the benefit is frozen unlike pensioner credit which rises in line with pensions. This in theory could mean the people deprived of pension credit could be forced to live on a frozen benefit for years and see their living standards fall every year. The DWP is being generous enough to say they would not force a person over 65 to seek work and sanction them if they don’t succeed. Presumably even Mr Opperman, the pensions minister, would not want to be seen trying to force a 77 year old into a job while he or she waits for pension credit. Frankly this is an appalling situation and I hope Backto60 people take this up as well as demanding their pension and try and put pressure on MPs to tell the government not to go ahead next year. This is a real and sustained attack on the poorest pensioners in the country and ministers should be ashamed of thinking of implementing it. 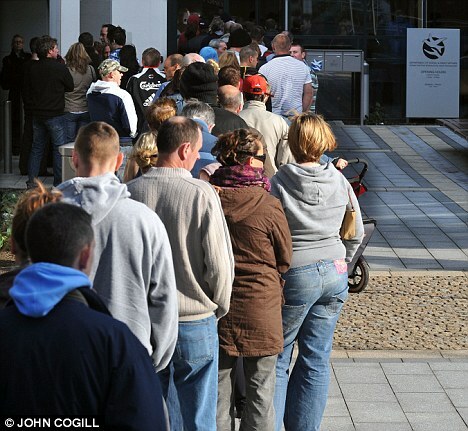 Misleading statistics for the dole queue. I see from the excellent Vox Political blog that a row has broken out over claims by Conservative Central Office of big reductions in the number of jobless claiming benefit under the last coalition government. The BBC reports a row over the way Essex Tory MPs are presenting falls in unemployment figures. The row concentrates on them using the claimant count. ( Jobseekers Allowance only) rather than the number of people seeking work who are not on benefit. This makes a huge difference to the numbers unemployed in constituencies. However as readers of this blog will know this is not the true and accurate picture because since Iain Duncan Smith, the work and pensions secretary, introduced universal credit – those transferred from JSA and still on the dole were no longer counted in the JSA figures. So where there are jobcentres already implementing universal credit in constituencies these figures were much less. So it is rather outrageous for Tory Central Office to quote the very House of Commons reports that reveal this as the correct interpretation of the claimant count particularly if they only use JSA.. The very latest statistics available have for the first time started showing both but the situation is a mess as this report from the Commons library covering unemployment in February 2015 shows. For the first time it does try to show those on Universal Credit and those on JSA who are the dole – adding about 27,900 to the JSA total. But given the distortion between those on the dole in the prosperous South and less prosperous North these figures are still significant. In the North West of England it accounts for another 25,000 on the dole. In London it is just 400. To make matters worse trying to breakdown accurate figures for the long-term employed and by age group is impossible at the moment. The figures are just not available. As the report says: “Data on the number of Universal Credit claimants who are out-of-work by age are currently not published at the constituency level. However, data are available on JSA claimants by age. So beware of false claims and people quoting official House of Commons documents to back them up. They are not necessarily giving the full picture.